Imagine a perfect date. Conversation. Smiles. Sparks. Now comes the challenge: How can you follow that up? Tattoos? Karaoke? All-you-can-eat buffet? That all seems so, well, conventional. 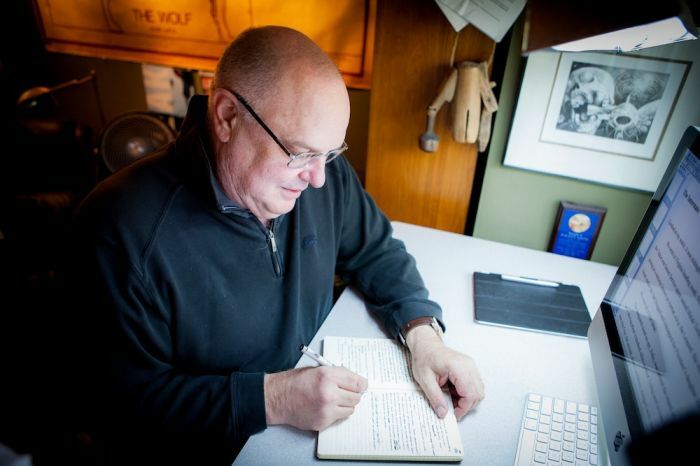 If you’re looking for something more memorable—and potentially risky-you’re in luck in Oregon. 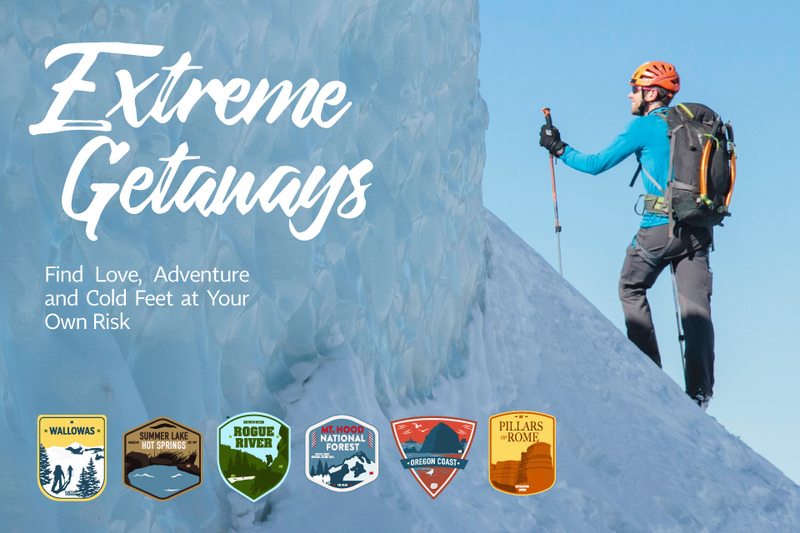 From the coast to the Cascades and beyond, opportunities abound for extreme and remote ventures, and extreme comfort if you get cold feet. Does the less-beaten path sound a little crazy if you’re trying to coax a current or potential love interest into spending more time with you? You bet it does. Crazy in an intriguing way. In addition to boosting your adrenaline, it could be a chance to learn more about each other and blur the boundaries of your respective comfort zones. Thankfully, you don’t need to be a naked or afraid television celebrity survivor to brave Oregon’s backcountry. It’s a spectacular place, provided you’ve done the right planning, gathered the right gear, and invited the right company. Love is a many-splendored thing. How might it fare in multiple layers? Find out together. Pack the traction tires, parkas, perseverance and some pinot, and head to the beguiling beauty of Oregon’s winterscape. Just in case your resolve melts or the weather turns really foul, we’ve curated complementary nearby options for extreme comfort and luxury. 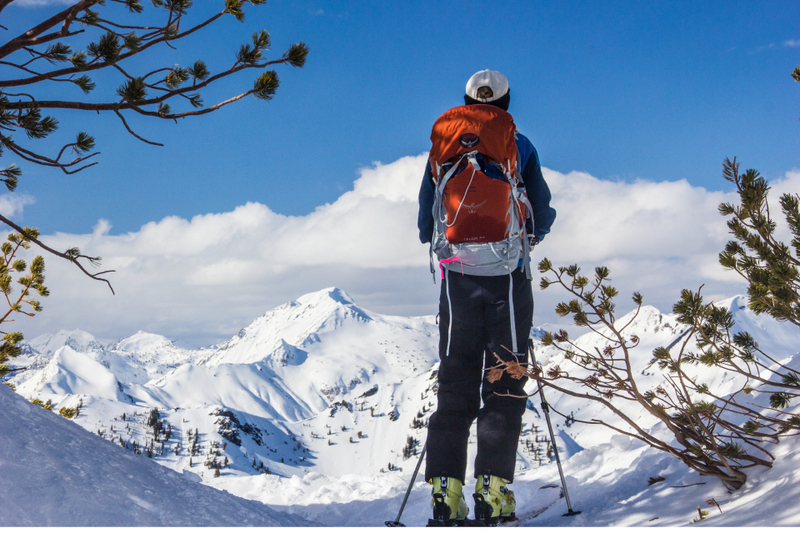 If you want to powder your nose, and the rest of your body, you can find some 400 inches of soft snowpack in the soaring Wallowa Mountains of northeast Oregon. Known as “Little Switzerland,” this is the state’s premier destination for remote backcountry alpine skiing—as in, no ski lifts, almost no people, and no cell service. You will discover bunkhouse-style overnight accommodations and meals in well-appointed, heated yurts against the stunning backdrop of the Eagle Cap Wilderness Area. While there’s no room service or showers at 7,000 feet, your muscles will tingle in the sauna after daylong forays of trekking up slopes on foot and then skiing back down. It’s a workout: The recommended packing list includes supplies to prevent and treat blisters. Safety is a premium, so all are required to complete avalanche training and wear beacons on the slopes. For ambience, candles are provided in the yurts—as are sleeping bags, coffee, food and bathroom supplies. That’s good because it means you’ll have more pack space to lug beer or wine to base camp. Or, for $170, you can have a five-gallon keg of locally brewed Terminal Gravity suds brought in. Keeping it cold won’t be a problem. The hip and trendy Jennings Hotel in Joseph is modern luxury for the artistic type, with heaps of exposed brick, succulents and local artwork on the walls. In addition, it has a swanky sauna and a library of books and records to gaze at while you stroke your waxed beard. 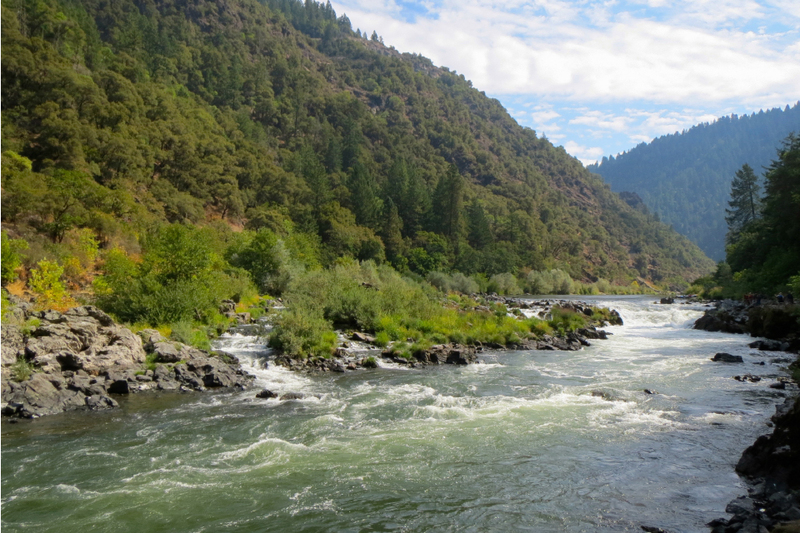 Southern Oregon’s Rogue River tumbles through rocky outcroppings and fir stands in southwest Oregon backcountry, and is renowned for world-class whitewater rafting and hungry bears. 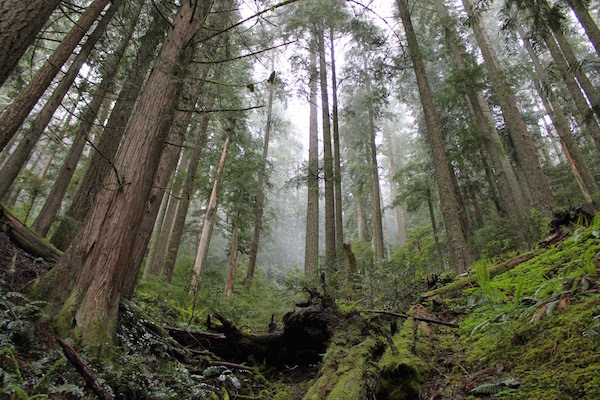 Lesser-known but just as scenic is the Rogue River National Recreation Trail, which traces a 40-mile course of the river from the Grave Creek Trailhead to Illahe, upriver from Gold Beach. 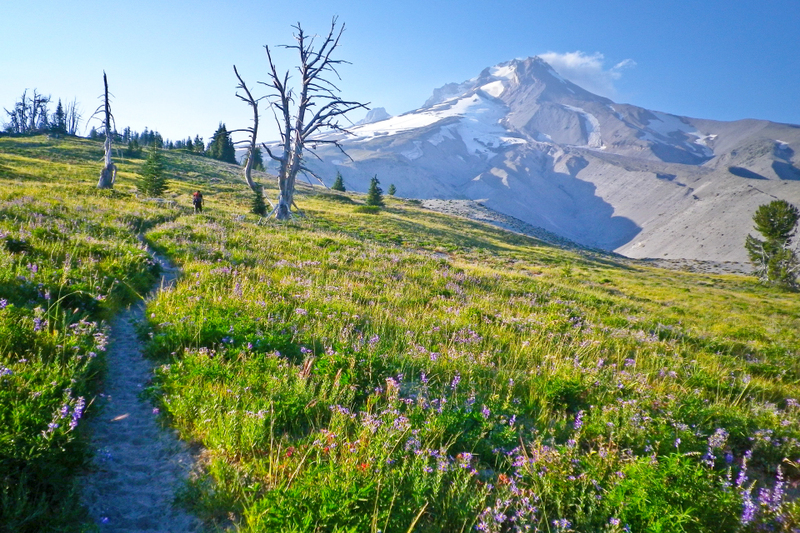 A popular destination in the summer and fall, the trail and river traffic thins out decidedly in the winter—so that backpackers like you and your honey will have ample choice of campsites, according to Trailkeepers of Oregon. Definitely check weather reports first. While snow is uncommon and the trail is below 1,000 feet, it does blow through. At times of heavy rains, the river can flood and render the trail impassable. Seasonal lodges along the river shut down for the winter, but you can hunker down under the eaves at the red-painted (and also shuttered) Rogue River Ranch, about 23 miles downstream. There’s an adjacent campground at Tucker Flat. Another option is to drive to the remote ranch site, a former Native American settlement, pioneer farm and mining outpost. In nice weather, it takes two hours on winding roads to reach the ranch. The Touvelle House Bed Breakfast in Jacksonville brings you the fluff of luxury with a feather bed, down pillows, Egyptian cotton towels and bathrobes at the ready. The 1916 Craftsman-style home also includes a pool, bocce ball court and day-passes to Snap Fitness. For a really fun trick that your date will remember forever, inform him or her that you are traveling to see the Pillars of Rome. You won’t be heading to the airport. Instead, fill your thermos and your gas tank. These pillars are a geologic reason for an epic Oregon winter road trip. And what better way to spend a multiple-hour drive than showing off your ABBA music collection or learning Italian on the car radio. The Pillars of Rome jut into the sky in the remote southeastern corner of the state, where they stretch for some 5 miles. 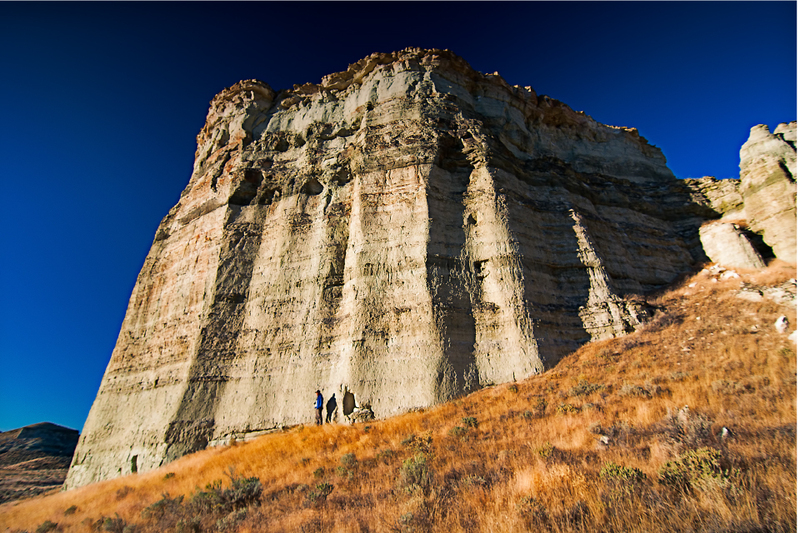 The clay formation of 100-foot-high, white, column-looking bluffs earned its name from pioneers venturing westward. Today, the photographic landmark is an entry point for water enthusiasts on the Wild and Scenic Owyhee River. Celebrate afterward with the pasta of Rome. Stop for Italian fare in Burns, a short 100-mile drive away, and maybe you’ll make it to a third date. 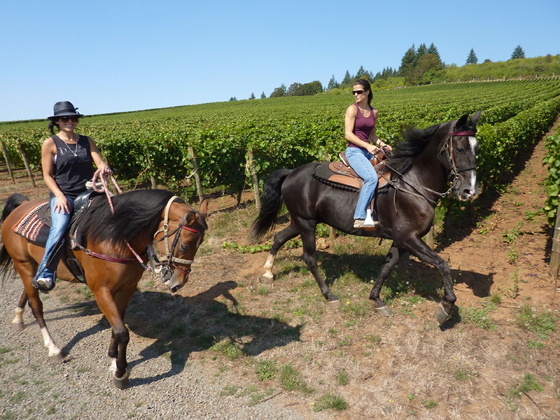 For remote areas without high-end hotels, take your luxury with you to the ends of Oregon with a Cruise America RV rental. The fully-equipped RVs come with a refrigerator, shower, heating and a stereo sound system. 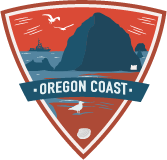 The Oregon Coast is renowned for battering winter storms. It’s also a time of year when storm-shifted sand helps to create ideal conditions for clamming. It helps if you also define “ideal” as dirty and in the dark. 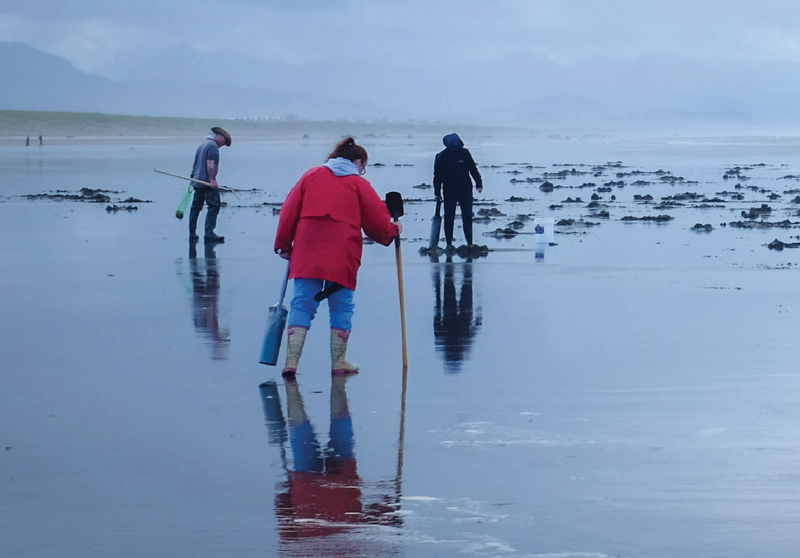 The best winter clamming times are during low tides, which happen mostly at night. So in addition to packing shovels or clam guns and picking up a shellfish license, gear up with warm clothes and headlamps or lanterns. Veteran clammers also warn you to never turn your back on the ocean. 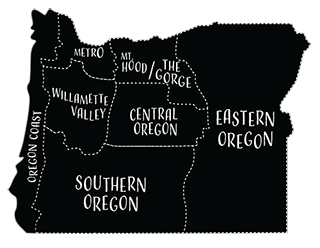 Maps of hunting grounds are available from the Oregon Department of Fish and Wildlife. You’ll also want to call the Department of Agriculture to ensure your beach is open and safe. Periodic closures occur due to toxin buildup in shellfish. Then comes the best part—warming up afterward if you are, you know, clammy. The Cottages at Cape Kiwanda bring beach luxury at its finest, each with an oceanfront patio and views of Haystack Rock and Cape Kiwanda. Amenities include a jacuzzi tub, heated bathroom tile floors and even a fully stocked fridge upon your arrival. Envision the moon hanging in an endless sky overhead. Now, imagine the two of you in a tub, soaking up the nighttime panorama in the Oregon Outback. Perhaps with new friends. Scantily clad new friends. 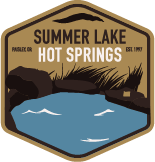 Warmth, relaxation, yoga and less adrenaline await at rustic Summer Lake Hot Springs, some 125 miles from the light pollution of Bend. Located near the hamlet of Paisley (home of the annual Mosquito Festival) on the edge of the Great Basin, the 145-acre property offers tent sites, RV hookups and a collection of cabins for rent. The star attractions—in addition to the celestial show—are the geothermal mineral springs and soaking pools, which range from really hot to comfortably hot. There are two outdoor soaking pools and one indoors, in a circa 1928 metal-sided barn. While the water is warm, the high desert can get downright chilly. The website advises boots, wool socks and jackets. The campsites have fire pits and the cabins have geothermally heated floors. One has a private soaking grotto. Be forewarned that the rejuvenating soaking pools are clothing optional and adults only after 9 p.m. Also, this is not the best setting to impress your date with your butterfly stroke technique or Marco Polo skills. The pools are designated as quiet spaces: no yelling, splashing, jumping or foul language. 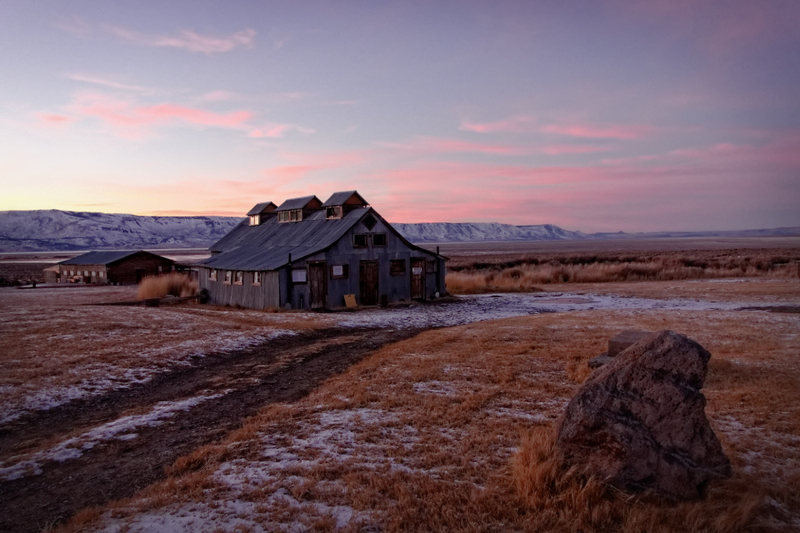 The Frenchglen Hotel near Steens Mountain is a rustic, shabby-chic inn that is also a State Heritage Site. Offering luxury for the historian, the Frenchglen was established by a meatpacking company in 1916 and was turned over to Oregon State Parks in 1972. When you’re dating, the right footwear can make a difference. The same holds true during winter on the Pacific Crest National Scenic Trail. The Mt. Hood National Forest section of the trail is 130 miles long, but you’ll cover barely any ground without proper shoes. Namely, snowshoes. Frog Lake Trailhead and the lesser-used Barlow Pass Trailhead offer easy access from near Government Camp on U.S. Highway 26. Don’t forget a Sno-Park permit. Wherever it goes, your conversation should be fairly easy to hear. A welcome hush falls over the forest when it’s blanketed by snow, as long as you’re safely out of earshot of snowmobiles, dogsleds and braggadocio. Day hikes through the wintry wonderland will offer ample selfie moments and sweeping vistas, and still get you back to a brewpub before sundown. If you’d rather stay the night, propane heaters are waiting trailside to warm your spirits and your toes at year-round cabins maintained by Hood River-based Cascade Huts. Stay above Timberline at 7,000 feet in the Silcox Hut. Much more than a hut, Silcox is a private getaway on Mount Hood with access to all of the amenities down the way at Timberline. Transportation to the main lodge, along with dinner and breakfast (prepared by the host) are also included. Looking for a less extreme getaway? 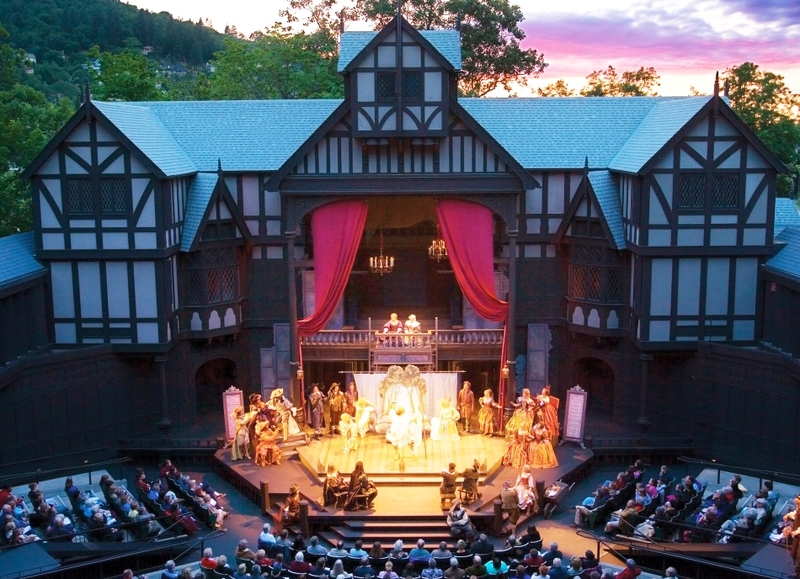 Take a look at some of the best places in Oregon to live, work, and play.